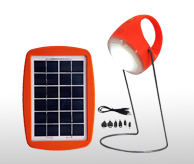 Anji DASOL Solar Energy Science & Technology Co., Ltd., with a registered trademark “DASOL”, was established at 2006. DASOL is specialized in research, development, manufacturing and service of solar modules, solar lighting systems and solar power systems. With the leading professional R&D team and advanced manufacturing and testing facilities, DASOL has a concentration for off-grid electrification. Quality is one of our key elements for continuous growth. All products are designed according to IEC/UL standard and manufactured in ISO9001 certified production lines. We have TUV, CSA, IEC, CE, and RoHs certification. We grow with our customers by offering superior quality and service worldwide.